New Year means new opportunities in every area of life and in respect of Sneakerheads, the beginning of the year denotes opening another chapter in an exciting adventure with fashion. Today’s trendsetters looking for new and innovative solutions can already feel extremely enthusiastic as 2019 is about to bring even more good! Although it might seem that sneakers can’t surprise customers anymore, the creativity and imagination of designers turn out to be endless. Let's see what models all the big fish will offer us this year! Vintage in the contemporary form - adidas LXCON! 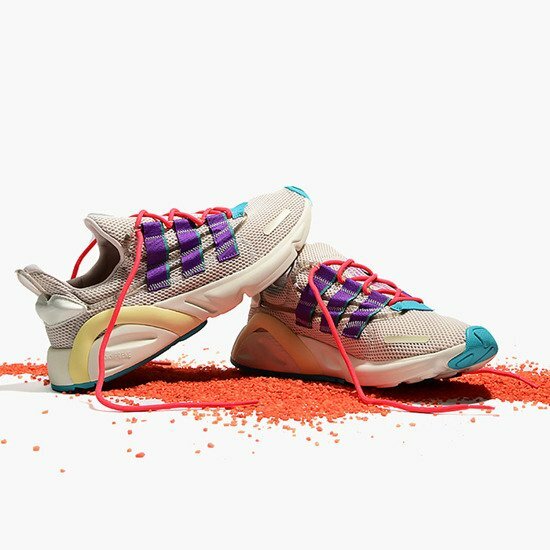 The first breath of fresh air in 2019 are adidas LXCON, a combination of retro and lifestyle with a sporty accent that would satisfy every runner. This model perfectly proves how greatly sports influences fashion and how fashion influences sports. Inspired by the classic 1994 running model, the shoes present a completely new interpretation of the vintage style. The secret of the adidas LXCON shoes lies primarily in their high midsole that guarantees the look of the authentic design popular in the 1990s. A breathable air mesh upper accompanied by three stripes in a futuristic color is another intriguing solution applied in this model. All these elements together with a transparent line form a lacing system. Adidas LXCON are characterised by a subtle beige coloring enlivened by violet-blue elements. The whole design is finished with a high quality EVA foam sole with ADIPRENE system under the heel. 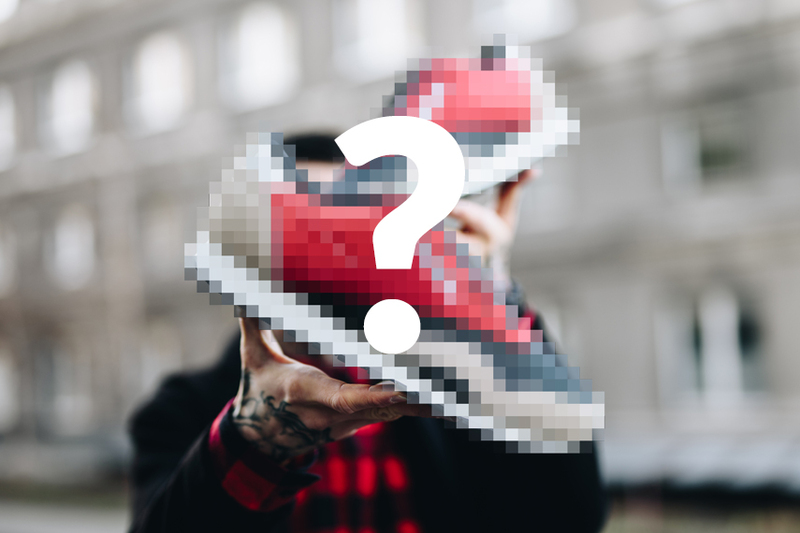 It seems that 2019 may be surprising for many Sneakerheads and it’s worth noting that this is only the beginning! Two aces to start with - adidas Yeezy Boost 700 "Salt" and adidas "Inertia" from Kanye West! Although initially the Yeezy sneakers were reserved only for real and wealthy fans of luxurious shoes, as evidenced by their high price and limited number, now they are much more affordable and almost everyone can get the honor of wearing sneakers designed by an American rapper, Kanye West. Recently, adidas announced that sales of the Yeezy models increased by 600% in the last quarter of 2018. These figures unanimously support Kanye West's thesis from a few years ago when he started that all the customers wanting to expand their collection of shoes with the model designed by him would ultimately have the opportunity to do so. Consequently, adidas Yeezy Boost 700 "Salt" appeared on the market at the beginning of 2019. In the case of this particular model, the famous rapper and designers of the adidas brand went for one of the light shades of grey falling gently into beige. A sole inspired by basketball shoes popular in the 90s and early 2000s is very characteristic for adidas Yeezy Boost 700 "Salt". The whole construction of the model is a classic combination of natural suede, mesh and leather, although the design itself is no longer so classic. Due to the BOOST cushioning which guarantees excellent amortization and reduces the fatigue of the foot during wearing, it can be undoubtedly stated that the high level of comfort is another advantage of these sneakers. As it turns out, this is not the end of the novelties from Kanye West and adidas because this spring another product of their collaboration will make its debut on the market - it’s time to meet the colorful version of Yeezy 700 Boost, adidas Yeezy Boost 700 "Inertia". The multi-layer upper of this model is a combination of colors such as grey, blue and creamy. The whole sole looks like sculpted and its light orange elements will definitely catch an eye of every Sneakerhead. Combining a mesh layer with grey suede elements turned out to create a very intriguing composition. All of these elements give us original sneakers in the style of Kanye West with an interesting design providing comfort and multifunctionality. Guessing from the ingenuity of the rapper, Sneakerheads surely should be prepared for other surprising ideas. The only question is what will Kanye West come up with the next time? Time travel with Nike Air Tailwind 79 Red Gym! Together with the beginning of the new year, another remarkable and potentially iconic model, Nike Air Tailwind 79 Red Gym, appeared in the sneakers’ world. Because of its interesting form and the Vintage style, the design of Nike Air Tailwind 79 Red Gym was rated extremely well. These shoes enable an exciting journey into the past and reveal the nostalgic side of the Sneakerheads. The Nike brand couldn't allow its classic model to disappear again in the dark, so this time designers decided to use a color that would honor the uniqueness of the model in every respect. The combination of juicy red and subtle white turned out to be a very impressive solution, especially that the previous versions of Nike Air Tailwind 79 were rather in the subdued and classic tones. Although this model may seem to be a well-known one, Nike Air Tailwind 79 Red Gym attract attention with their innovative design and functionality. If you've ever thought of a time travel capsule, then Nike Air Tailwind 79 Red Gym can make your dreams come true. Incredible comfort and staying up to date with the current trends - Nike Air Max 270! Another item on the list of novelties in 2019 are Nike Air Max 270, inspired by two Air icons, namely: Air Max 180 and Air Max 93. What definitely distinguishes this model from others is Air's largest gas cushion under the heel, which makes the shoes incredibly soft and comfortable at the same time. The upper of Nike Air Max 270 is made of consistent mesh elements which ensure not only stability but also ventilation in the right places. The shoes precisely adapt to the shape of the foot. Similarly to the already discussed models, Nike Air Max 270 are also featured by a fashionable combination of colors. Sneakerheads - be careful, the new model from Nike can really surprise you! More than ever before - the innovations with Nike Air Max 720! 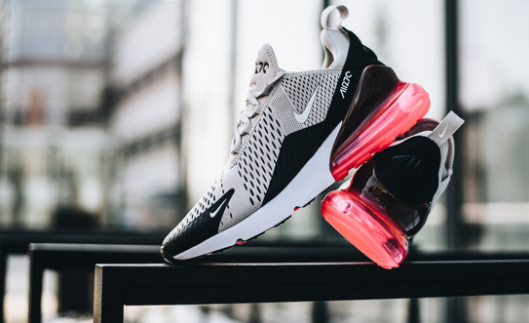 Nike decided to create a completely new line for those who spend the whole day on their feet and that’s how Nike Air Max 270 surprisingly emerged on the market. Why surprisingly? Nike Air Max 720 have the highest airbag ever (6mm bigger than any of their precursors) and the project is the result of months of collaboration of the Nike Manufacturing Innovation team. With Air’s increased cushioning placed directly under the heel, the 720 model provides incredible comfort all day long, opening a whole new chapter in Nike's aesthetics. In 2019 the new set “Northern Lights” consisting of Night and Day versions will make their debut on the market. The tones of these models, as denotes by the name, are inspired by northern lights and their beautiful color palette. The grey metallic upper is combined with other fancy colors and a transparent sole. But that’s not the end of the Nike Air Max 720’s design possibilities. Immediately after the "Northern Lights", the most expressive and colorful versions of this line, “Sunrise” and “Sunset”, inspired by the eponymous phenomena will be launched on the market. At the very end, Nike prepared three other versions, meaning "Total Eclipse", "Sea Forest" and "Pink Sea". Doesn't it sound intriguing? Nike React Element 87 - the continuation of the dynamics of 2018! Nike React Element 87, which were almost unanimously hailed by all Sneakerheads as the shoes of 2018, undoubtedly deserve special attention in 2019. It isn’t only about the creative and original design. In this case, Nike React foam turned out to be a real phenomenon which opened a completely new chapter in the world of sneakers. These shoes are a perfect combination of suede elements, Nike React logo and rubber cushions in the outer sole. Thanks to this solution, they are not only an incredibly functional but also an extremely successful combination of classic and futuristic features. However, coming back to the topic of novelties in the shoe brands this year, fans of Nike React Element 87 may expect some new releases in the near future. The first one will be "Light Orewood" model accompanied by green accents. In this particular case, the transparent upper is accentuated by several light brown suede elements and the whole model is finished with a raw white sole. These simple shades are an excellent background for much braver details such as neon colors on the midfoot. Our adventure with the Nike React foam doesn’t end with the "Light Orewood" version, as "Royal Tint" are already waiting to be introduced. These are fantastic and incredibly dynamic shoes in blue inspired by Miami's southeastern beaches. However, it's worth mentioning that this isn’t a usual color - the blue used in this model resembles the color of deep oceans and bright city lights. Unique sneakers and design full of imagination - sometimes it’s difficult to follow the ideas of Nike! There will be many novelties on the market this year. 2019 gives us numerous possibilities and consequently it raises the question which one should we choose? 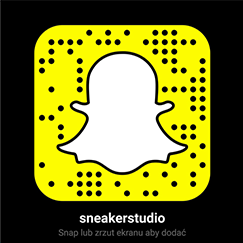 If you want to stay up to date, follow the news in SneakerStudio and our Coming Soon section! Many great things are just around the corner!